The first proper piece I did of Jasper was a headshot, done in a lineless style I was experimenting with at the time. While, again, the anatomy is questionable, the teeth, nose, and clothing are all things I'm quite proud of; considering when this was made, it ain't half bad, if I do say so myself! This served as a social media avatar for a while, until I updated Jasper's anatomy. 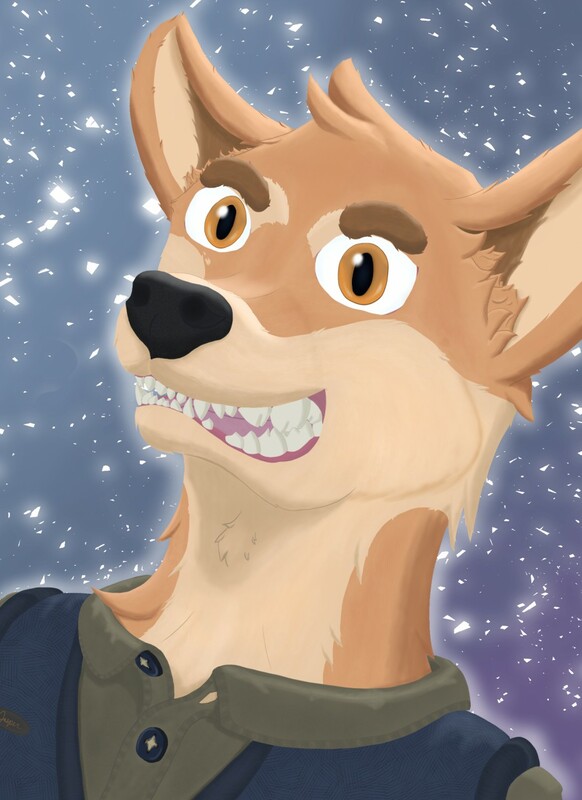 Since my new icon is still a WIP, I'm just using a crop of my ref sheet for the time being. It gets the job done.